Well, I really have not been keeping up well with you guys. I've been a little preoccupied with... other things. I would go into the details of how more chaotic and stressful planning a wedding is than I imagined, but I'm sure you've seen enough movies about bridezillas to give you a pretty good picture. They're more accurate than I realized. 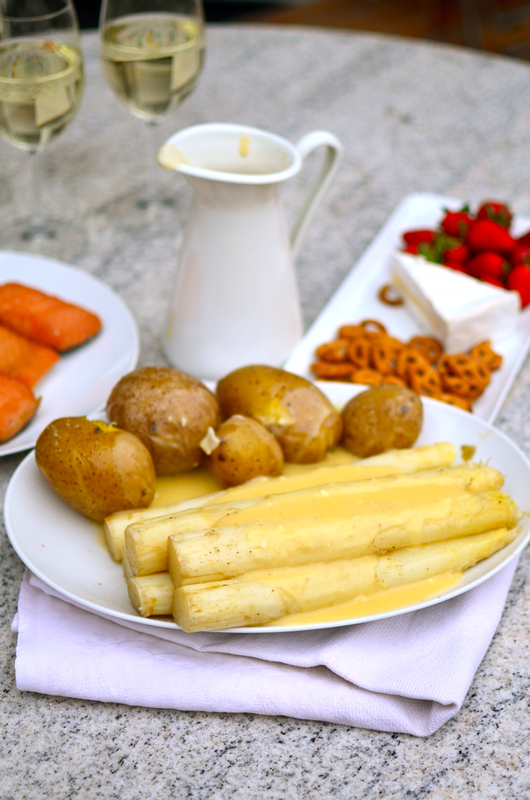 But anyway, you are probably wondering what in the world Spargel is. It's probably the first of many German words I will be teaching you since I'm moving to Berlin this fall. It would have been impossible for me not to have learned it while I was there since it was high Spargel season at the time. 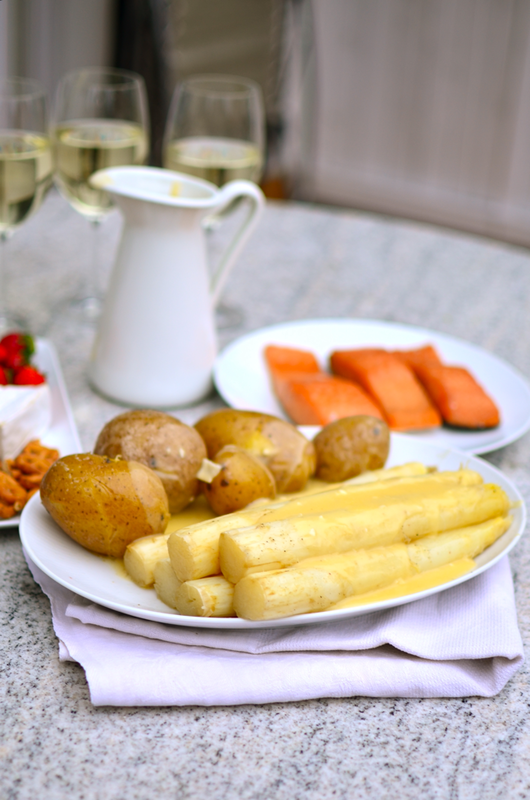 Spargel is just German for asparagus. 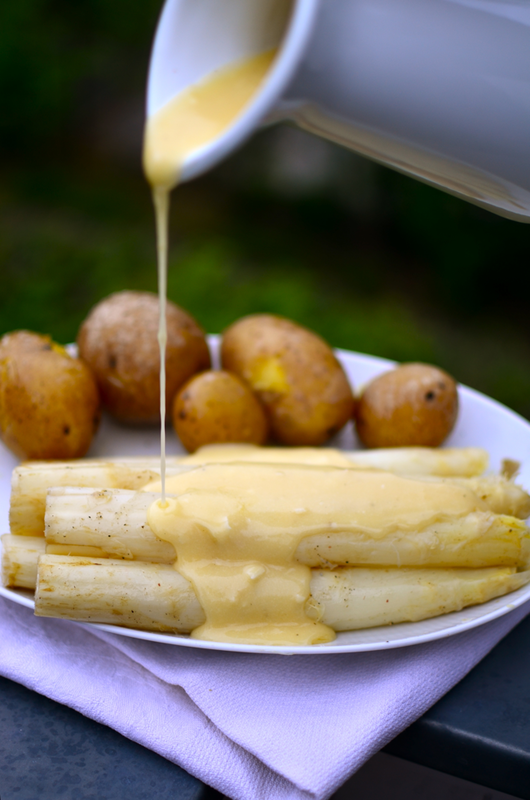 And not only green asparagus, but white asparagus too. Big, humungo white asparagus like I have never seen before. Every time we turned a corner, there was a Spargel stand. 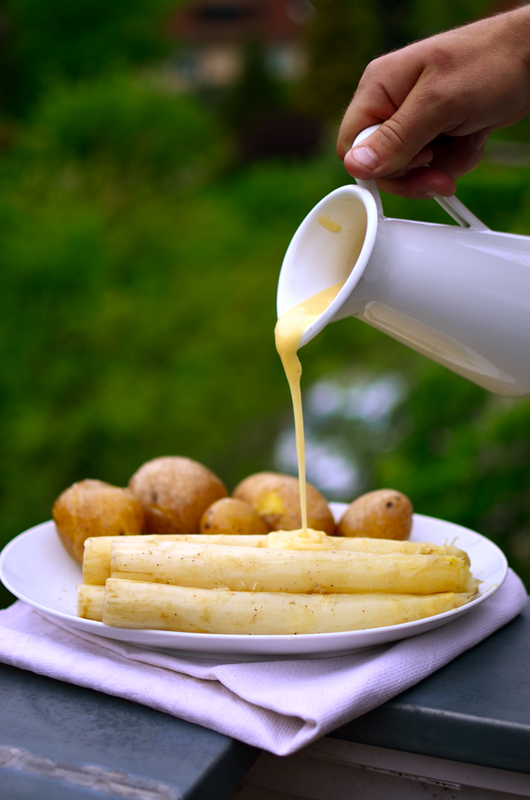 Every time we opened a menu at a restaurant, the whole first page was the Spargel menu. Avalanches of Spargel burst out of the door every time we walked into a grocery store. Spargel was raining from the sky. 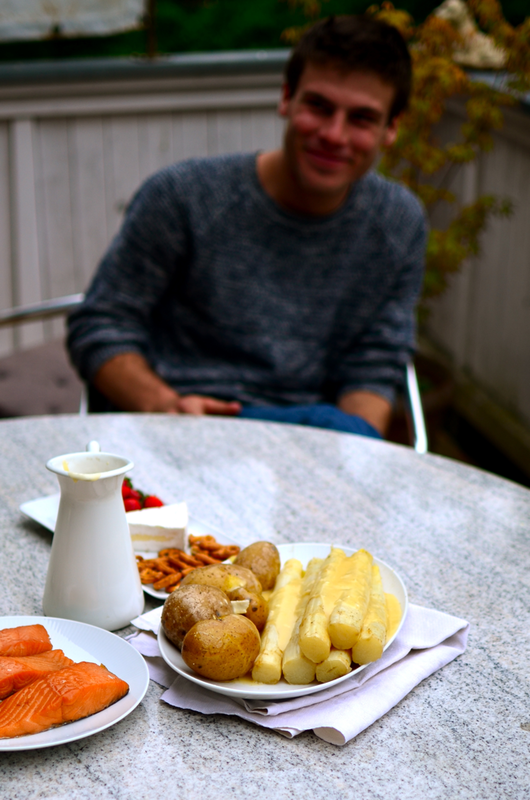 Everything was Spargel. So of course, we had to make some. Actually, that good looking guy smiling in the shadows was the chef behind this masterpiece. I just made that weird hodgepodge cheese sauce. I just threw every cheese from the fridge in there and didn't even cut off the rind of the brie cheese, so there were just pieces of it floating around in there. Anyway, it was still good. We had this awesome smoked salmon with it too which was fabulous. So, I will give you a kind of rough recipe for this since I really wasn't following one much. You can make it with regular asparagus if you can't find the white. Even if you find the white I don't know if it will be this huge. You'll just have to go to Germany and get some. Boil the asparagus until tender. Melt the butter in a saucepan. Add the flour and continue cooking while stirring for about 30 seconds. Slowly add the milk and whisk until smooth. Add the cheese and cook until hot, whisking occasionally. Add salt and pepper to taste.